A long time ago, I remember my mom telling me that "funerals aren't for the dead, they're for the living." Watching from the NASA Ames Research Center as Space Shuttle Endeavour passed reminded me of that aphorism — it felt like the day's mood was merry rather than melancholy. It seemed as if the event served more to bring people together than to make their hearts heavy. I had the good fortune of watching as the guest of one of the Ames researchers, and so I ended up in an area where entire families of Ames employees and guests had gathered to watch. 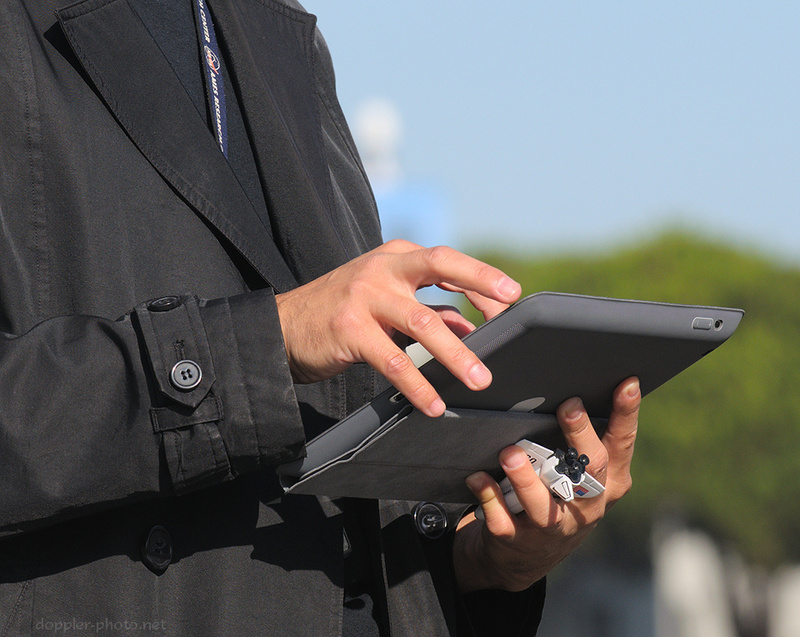 Walking around, it felt like people were simply out, enjoying the day, and enjoying spending time with their loved ones. 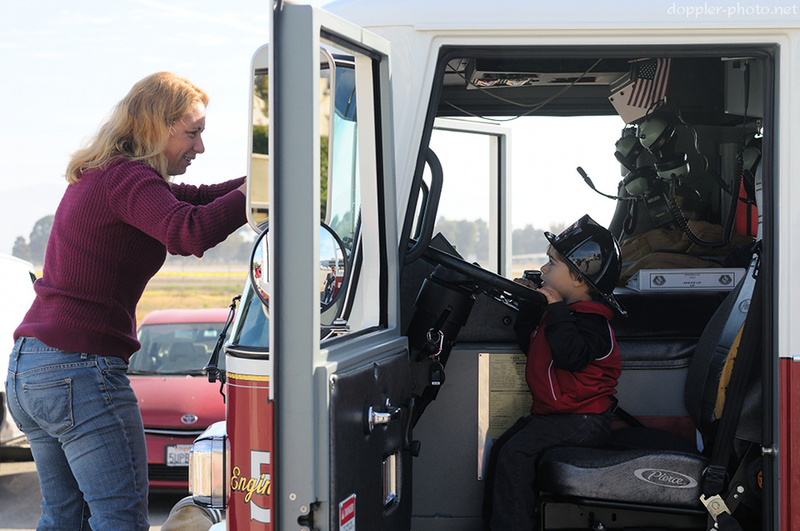 A fire engine from the Ames Fire Department was on hand, and young and old people alike had a chance to climb inside and see what a fire truck was all about. I chatted with one of the firefighters, and he mentioned that despite working at Ames for the past five years, this would be the first time he had ever seen any of the space shuttles. 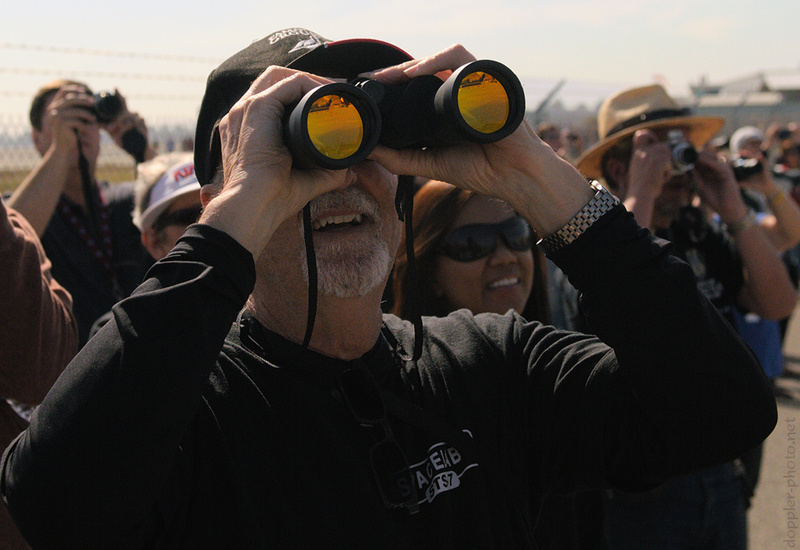 I was amazed to see the sheer quantity and variety of people who came out to watch for Endeavour. Throngs of people stood and watched from wherever they could see, and as the arrival time approached, every rooftop and vantage point that I could see was covered with people. 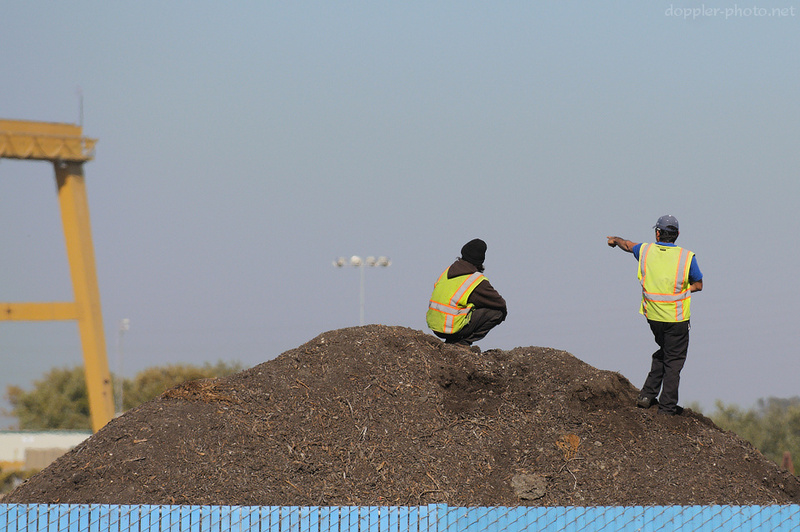 Here, two people (landscapers, I presume) wait atop a pile of mulch as one points toward the direction from which the shuttle would approach. 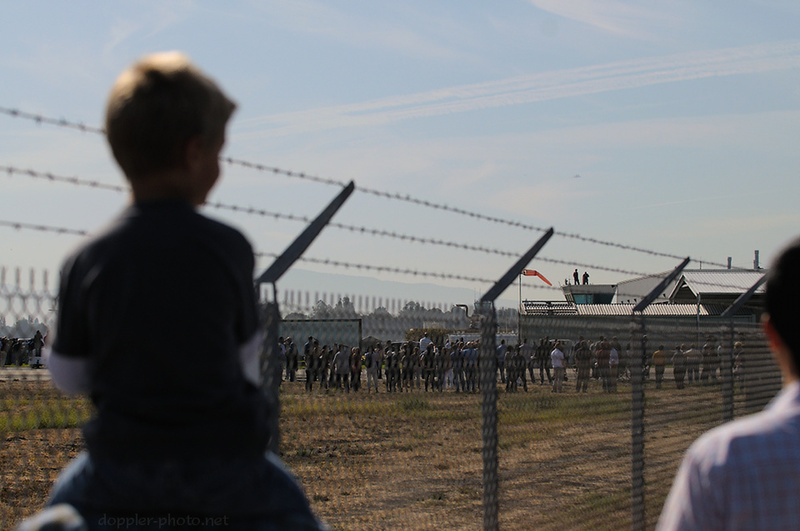 The arrival of the shuttle was announced by a slight rise in the crowd, followed by a marked quiet. 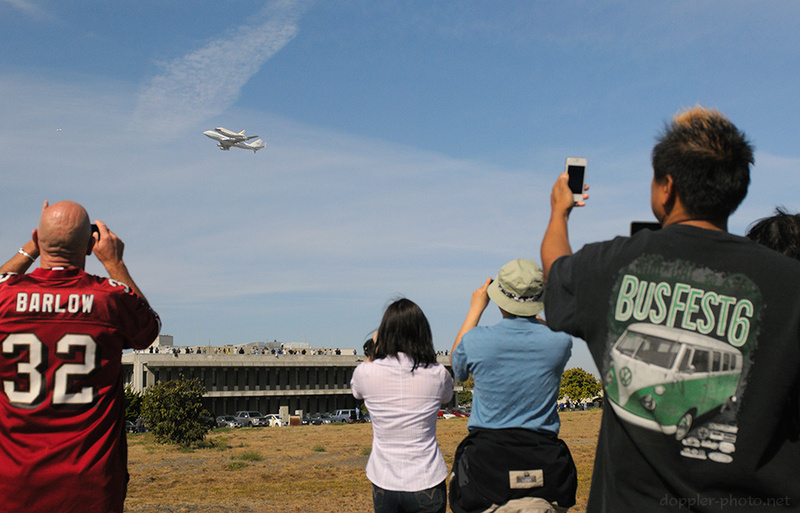 As the shuttle drew into sight, some people pulled out cameras to take pictures and videos; others simply watched. 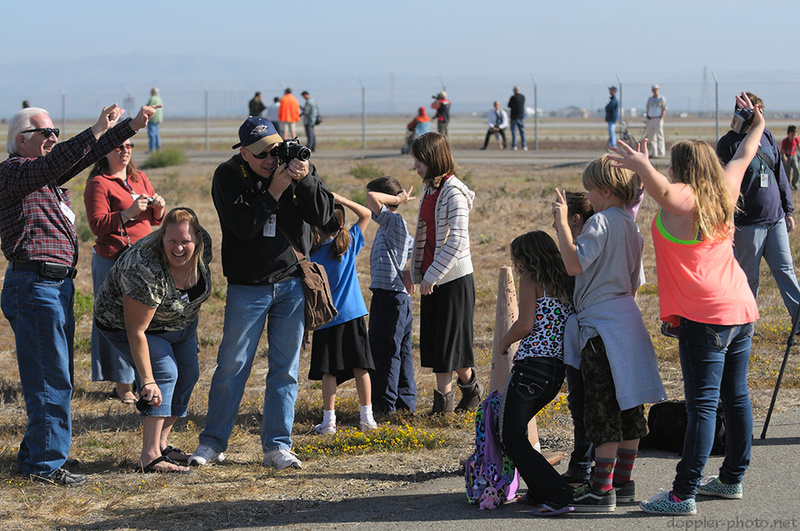 Though it was widely believed by attendees that Endeavour, atop its 747-based Shuttle Carrier Aircraft, would fly above the Moffett Field runway, it instead passed to the west. From my vantage point, this diversion made no difference, but it did frustrate some people who had stood next to tall buildings or structures (such as Hangar 1) which obscured their view to the west. And as quickly as it had arrived on the horizon, Endeavour slipped into the distance; a short viewing, if ever there were one. Nonetheless, I'm glad to have had the chance.